Do you test commercial smokers before shipping? 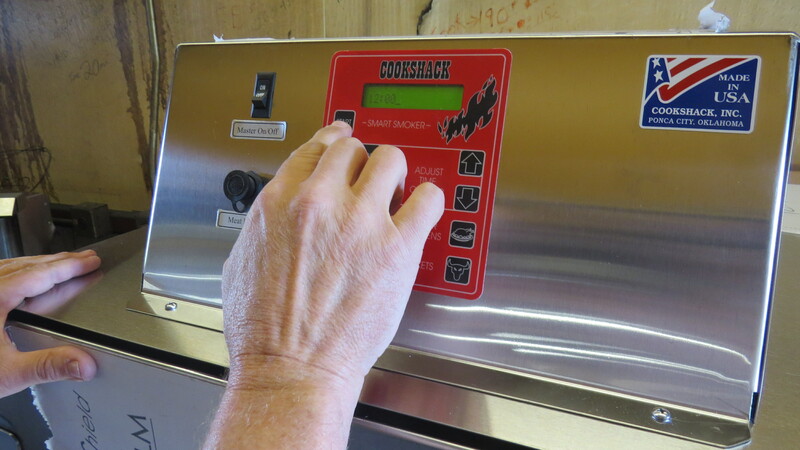 For over 52 years Cookshack has placed quality as a high priority in manufacturing all of our smokers, pellet grills and charbroilers. 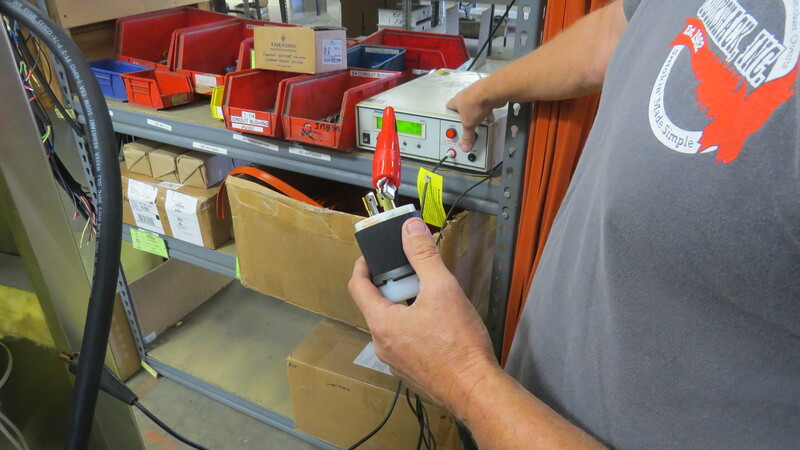 Each unit undergoes testing before packaging for shipment. The Final Assembly Teams in each of the production lines conducts the tests. Documentation of these tests is on an inspection sheet that is unique to each unit. The employees involved sign off on their craftsmanship. Tests that are common to all of our units are the Hipot test, a Ground Continuity Test, and electronic controller test. Hipot is an abbreviation for high potential and is a term given to a class of electrical safety testing instruments used to verify electrical insulation. Ground Continuity Monitor is used to measure the electrical continuity of the circuit’s path to ground. Testing of the electronic controller is done by making sure each button functions properly and lights up on the digital display. Each electric smoker in our SmartSmoker Line (SM160/260/360) and each smoker in our Fast Eddy’s™ by Cookshack Line (FEC100/120) are tested by a process we call “running out.” Power is supplied by plugging in and testing the unit to make sure that is can reach temperature and go into the hold cycle. All units, except for the SM160, have wood added to them to make sure they smoke properly. 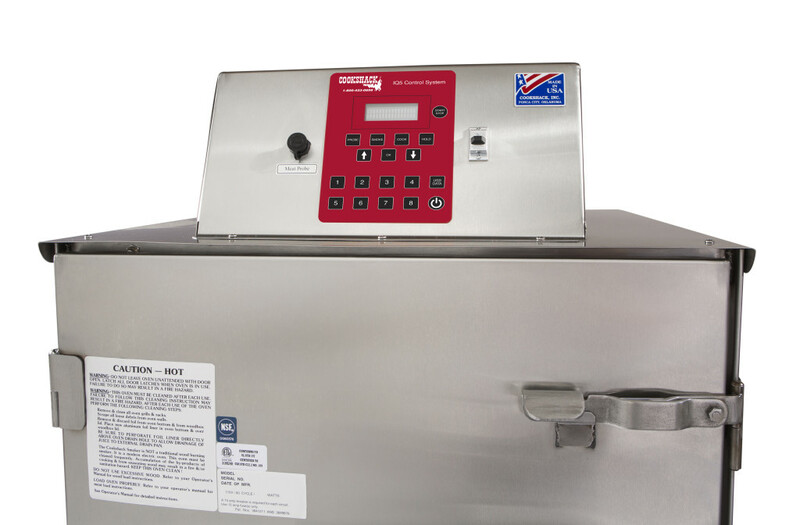 The electric smokers are testing for approximately 20 minutes at 190°F and then a hold temperature of 255°F. 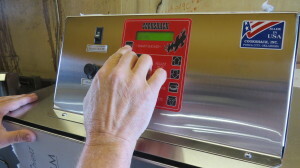 The pellet-fired smokers are tested up to 340°F for approximately three hours and then put into a hold cycle. Cookshack has a separate room in the production area to run out the units. The Charbroiler line (CB024/036/048) is tested by powering the unit and setting the factory settings on the controller. It is run for 30 minutes to ensure that the ignitor, draft fan, and auger is running properly. The Fast Eddy’s™ by Cookshack Rotisserie models (FEC300/500/750) undergo additional tests. The first test is a weld test. The bottom of the smoker is filled with water to make sure it does not leak. Then the wiring is checked by plugging the unit in to check the switches, foot pedal, motors, ignitors, and smoke evacuator. Testing is completed to make sure that it can get up to the proper temperatures and the rotissiere is working properly. The unit is set to 424°F, and when the unit reaches over 400°F, it is shut down. This process takes a little over an hour. The trailer (FETR) for the Fast Eddy’s™ by Cookshack Rotisserie models is tested by plugging it in to make sure all the wiring and lights are working properly. 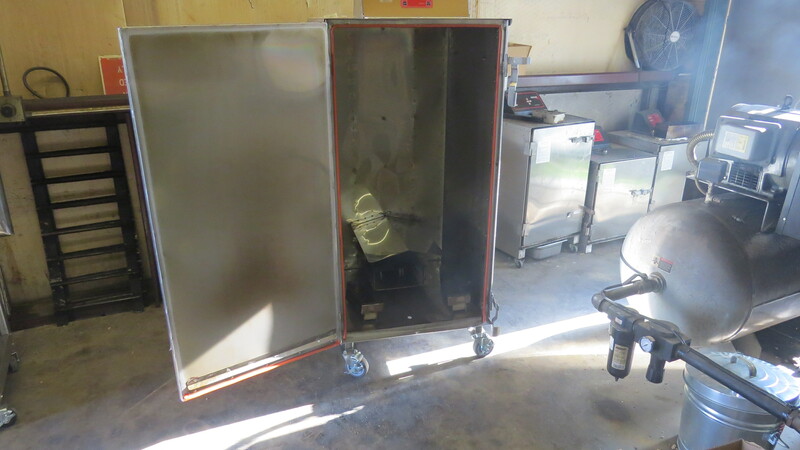 This entry was posted in FAQs and tagged charbroiler, commercial, controller, Cookshack, Cookshack smoker, electric, electrical, electronics, Hipot, pellet fired, pellet grill, safety, smoker, temperature, testing on October 22, 2014 by admin.